Technically, it’s not Friday, but let’s just pretend for the sake of this post. lol As promised, I saw Takers, and there’s much to talk about. 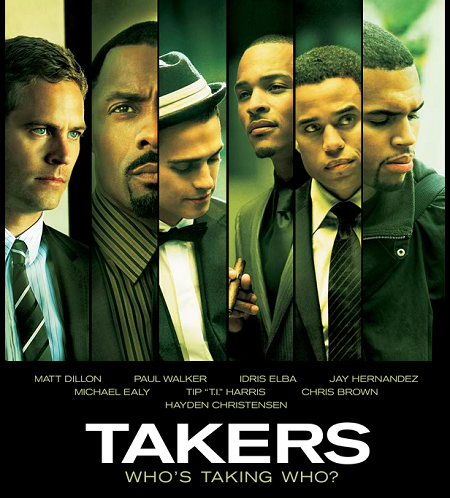 If I had to describe Takers in one word, I would simply say that this movie was FLY. Immediately after the opening scene, I was hit with a series of shots highlighting the glitz and glam of Los Angeles. Whoever styled the characters in this movie, especially Hayden Christensen, did a fantastic job! 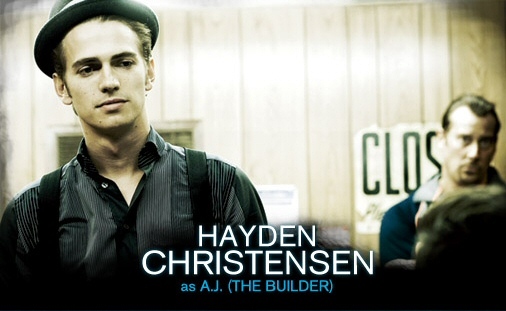 My love for Hayden definitely went up a level after watching Takers. He was the epitome of fly, and definitely played more of a major role in the film than I anticipated along with T.I. 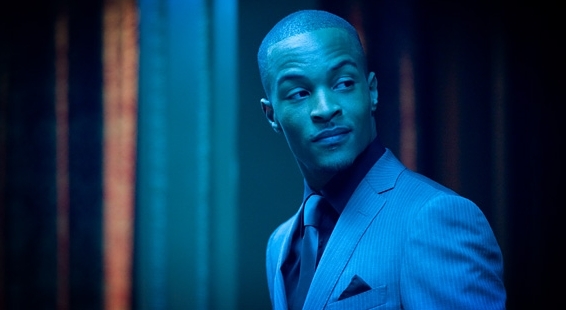 Speaking of T.I., I cannot forget about the stylishly tailored suits worn by him, Idris Elba, Michael Ealy, and Paul Walker. These guys’ clothes were so nice that throughout most of the movie my attention was drawn more to the characters’ looks and dress than to the actual plot. lol Is that a bad thing? I don’t think so. Let’s face it… You don’t get an ensemble cast of Hollywood’s most beautiful men, so that people will see the movie for the story. Just sayin…..
Film Fridays: Who wants to be taken? Here’s the trailer for Takers. As promised, I thought long and hard about what movie to recommend for the weekend. 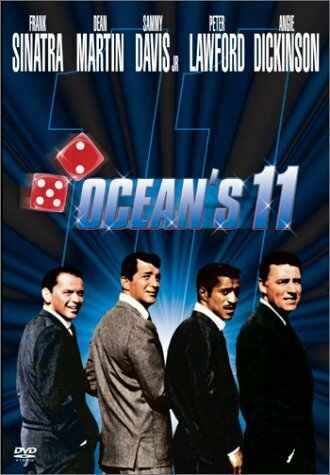 Because Takers is about a group of bank robbers, I’d say Ocean’s 11 would be a good flick for the weekend. And, no, I’m not talking about the George Clooney, Brad Pitt version. I’m talking about the original “Eee-O Eleven,” starring America’s own Rat Pack. For those of you, who do not know the movie, I can only hope that the names Frank Sinatra, Dean Martin, Peter Lawford, and Sammy Davis Jr. ring some sort of bell. If they don’t, then perhaps it’s not a bad idea for you to consider the 1960 classic. I promise it’s entertaining. And because, I’m so nice and thoughtful, here is the video on YouTube to part 1 of the film. Some people are opposed to watching movies on YouTube, BUT I think that everyone should take advantage. As a Film and Media Studies major in college, I don’t know what I would’ve done without YouTube. America’s film history is all over the site. I say make a playlist of some of you fave movies, sit back, relax, and enjoy the show – all from your computer. With that said, Blockbusters and movie rentals still manage to exist across the country. I’m sure you can find Ocean’s 11. Enjoy!